Bulls Eye is a premier institute for Exam preparation in India and we have been serving our students with utmost dedication since 1996 in the field MBA and other entrance exam preparation. The founding team includes IIM and XLRI alumni and professionals with top-notch industry experience. The primary goal of the organization is to build a foundation on which a student can build his dream career. Bulls Eye is Rated No 1 institute in the Chandigarh region in the domain of CAT & MBA preparation. Bulls Eye has trained more than 60,000 students in last 15 years and has built a reputation for providing quality education and competitive advantage to our students around the country. For the last 15 years, it has consistently maintained the number 1 ranking in the region, with the maximum number of selections across all premier institutions including IIMs. Following our core philosophy of personal attention, we have made sure every student of ours gets the acknowledgment and respect he deserves. We bring these same values to our website and have revamped our website keeping in mind the changing demands of education. Intellisis Resources Pvt. Ltd. incorporated in 2005 envisages a system of school education which promotes the development of multi-skilled, confident, independent and articulate children who love to learn. Intellisis has been conceptualized by industry stalwarts having more than 10 years of experience in the field of competitive, basic education and allied services. Today Intellisis is actively engaged in providing academic & operational consultancy to more than 50 schools in the states of Punjab, Haryana, HP, J& K and Rajsthan. Children are the most precious resource of our community and we need to nurture them by providing the very best education possible in a scientific manner which imbibes problem solving & decision-making skills with a questioning mind. This propelled us to develop innovative products like KG Pro. KG Pro, a unique kindergarten programme that is grounded in scientific principles keeping the above said larger objectives in mind. Intellisis bridges this gap with its scientifically designed KG Pro modules where the schools, teachers and parents can give children a complete learning experience which will help them in honing the necessary skills in their respective age groups. The entire Kindergarten of the school follows the systemic approach provided by the Intellisis. All Mind Tree Schools run on KG Pro. Intellisis has an integrated product for Mathematics from class I to VIII named as Math-e-magic. 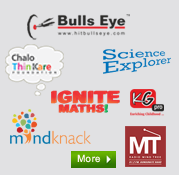 These products drift away from traditional approached of mechanical teaching in mathematics to Logical, Practical & Activity based approach to learn mathematics. 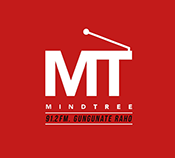 Through IRPL Schools Division, Intellisis has embarked upon setting up a chain of full-fledged mainstream schools under the brand name 'Mind Tree School', and a chain of playschools called 'First Step School'.